Smiling 'Ebisu Yaki' Sold On Only Toka Ebisu Festival! 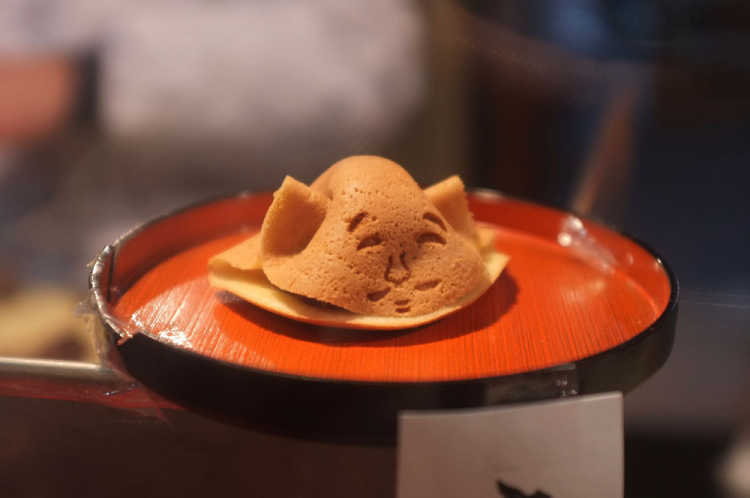 This 'Ebisu Yaki' is sold during 'Toka Ebisu Big Festival (a festival held around January 10th)' of Kyoto Ebisu Shrine. Smiling Ebisu (a Japanese god of business and one of the Seven Gods of Fortune) makes us happy. It contains azuki-bean jam and tastes like dorayaki. I like its small size that I can eat it in one mouth.◎There're often a line of people because it's photogenic for SNS. During the festival, they make it in the store, and you can buy one and take it out. They'll be sold during 1/8-1/12, but you need to confirmin detail.